Norman Island is located at the southern tip of the British Virgin Islands archipelago. It is one of a number of islands reputed to be the inspiration for Robert Louis Stevenson’s pirate novel Treasure Island and it is considered to be one of the “Little Sisters,” along with Pelican Island, Peter Island, Salt Island, Dead Chest Island, and Ginger Island. 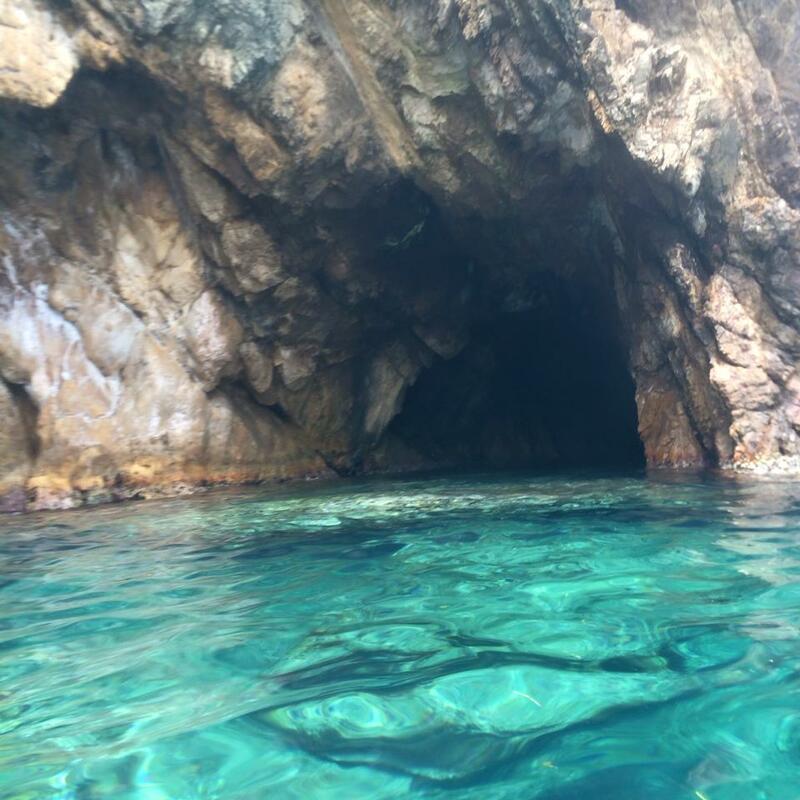 Norman Island has calm, protected waters which are perfect for snorkeling and a very rich history – one filled with pirates and hidden treasure. It is one of a number of islands reputed to be the inspiration for Robert Louis Stevenson’s epic novel, Treasure Island and the caves are instrumental to the story. 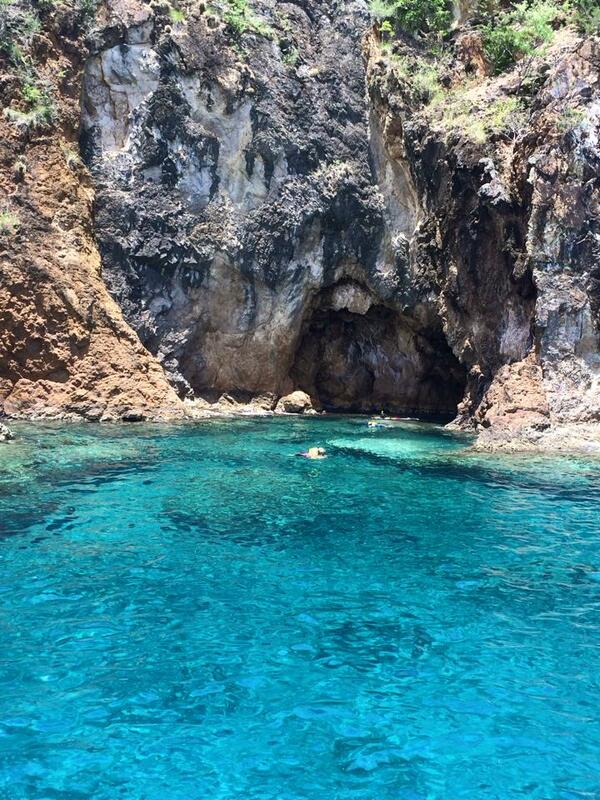 THE CAVES – Norman Island has 3 water-level caves at the base of cliffs just outside the western edge of The Bight. You can swim right into them. Each one is distinctly different. My personal favorite is the one on the far South, nearest Privateers Bay. The walls are covered in purple sponge and orange cup coral. As is everywhere, the water is incredibly clear and the fish are abundant. You will see schools of blue tangs, sergeant majors and yellow tail snappers. 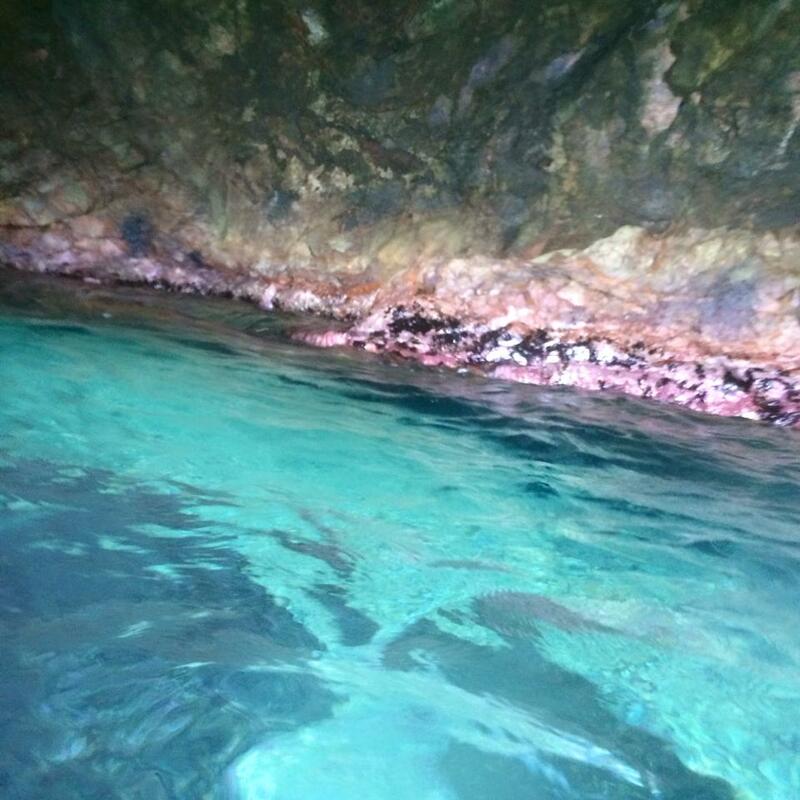 The far Northernmost cave stretches 70ft back into the island. Bring an underwater flashlight to see the wonderful purples, rusts and deep veins of the above water walls. 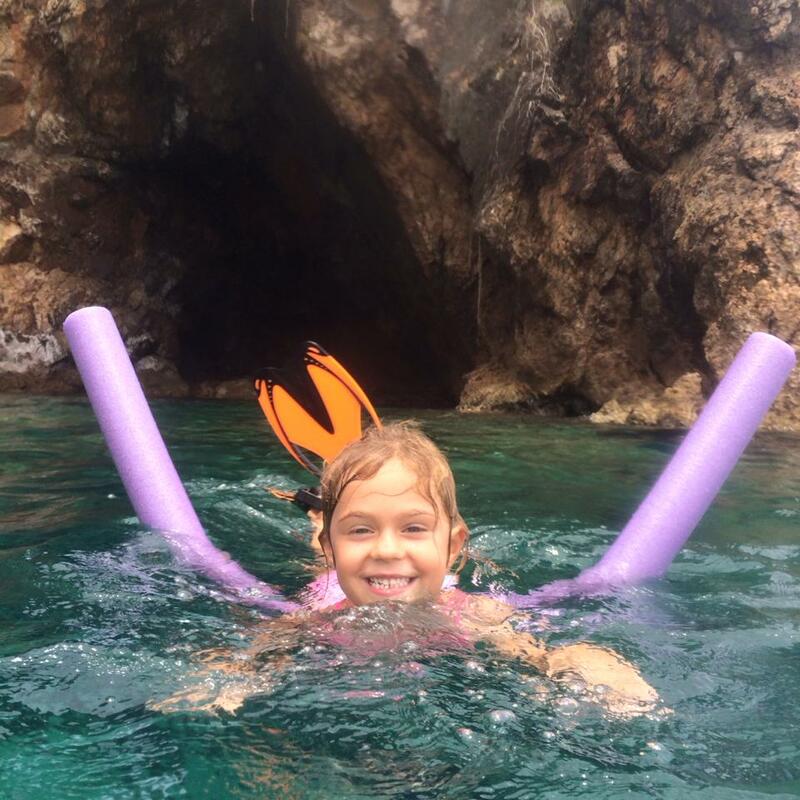 It is an incredible snorkeling adventure with lots of orange cup coral and red sponge covering the cave walls. PRIVATEER BAY is also a place where we usually see turtles eating on the sea grass close to the shoreline, but since Irma there seem to be more angel fish. KELLY’S COVE is just outside the Bight, where the water is crystal clear. Beneath the surface the rocks are covered in very colorful reef. Snorkelers will see an abundance of yellow tails, blue tangs and Sergent majors. 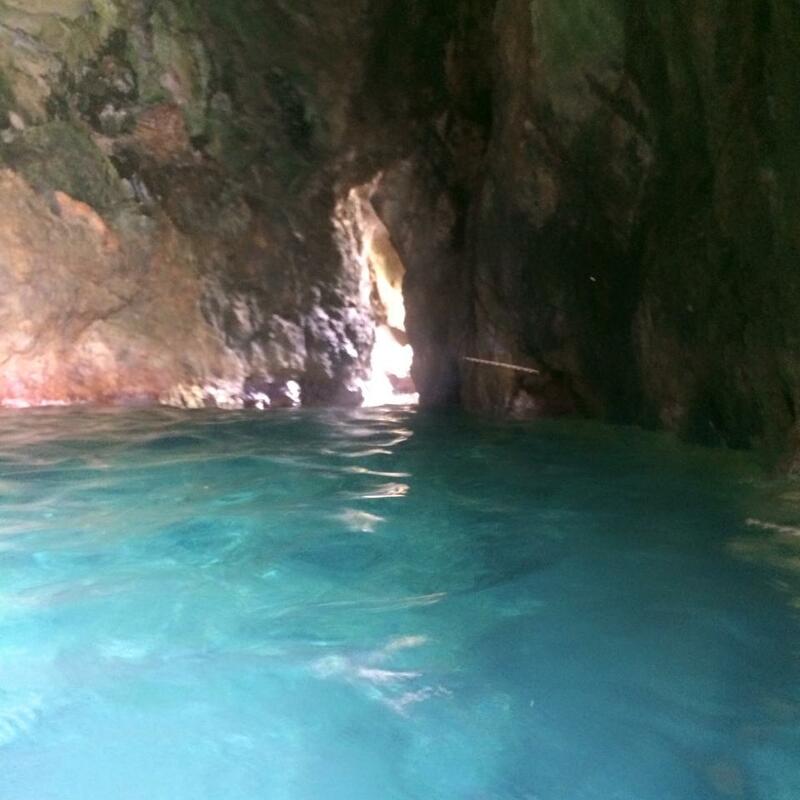 THE BIGHT is just around the corner from the Caves and is a great stop for lunch and a snorkel. On shore is Pirates Bight restaurant and gift shop. It’s a great place to grab up a souvenir. The beach is amazing, especially for younger children who can enjoy snorkeling from the shoreline, find shells and enjoy the fish. 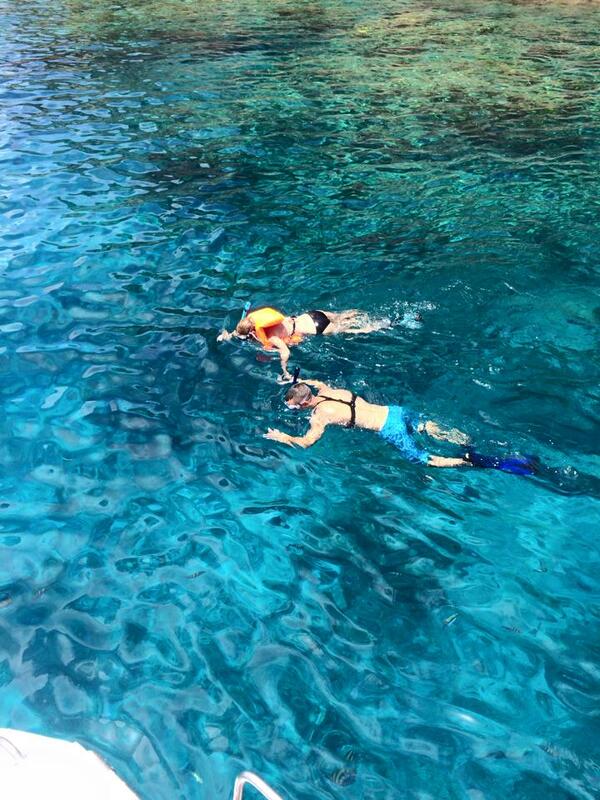 Some of the best snorkeling is located at the reef on the Eastern part of the Harbour, south of the Pirates Bight. You will find sea fans, parrot fish, elk horn, reef squid here. As you leave the Bight and sail North, we’ll stop at THE INDIANS. It’s made up of four rock formations which resemble an Indian headdress. It is a protected marine park and also an amazing underwater garden which is filled with so much color. On one side there is deep water and the other is more shallow. Where the Indians begin to shallow out, there is a small tunnel which you can easily swim through whilst holding your breath. You should be able to find Dory and her family swimming by as they love to hang out here! There are various types of coral clinging to every surface on both sides and an abundance of fish. Look out for the red fire coral as it will sting you in defense of being touched and the brain coral love the rocky walls. You are almost always able to find pipe fish here. They are part of the sea horse family and swim slowly with their tails pointed toward the surface. You will also see barracuda, turtles, nurse shark (if you’re lucky), Caribbean and long spine sea urchins, parrot fish, trunk fish, bar jacks and schoolmasters. 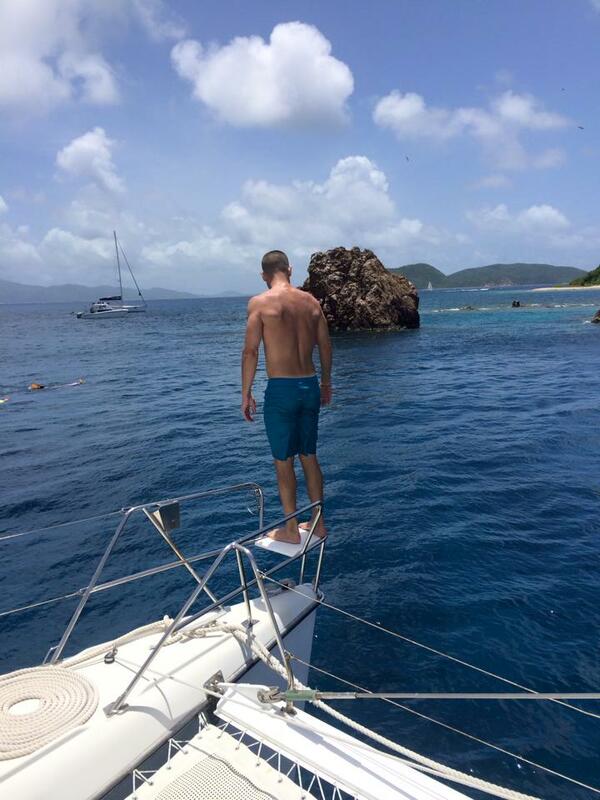 The Indians will satisfy both the novice and expert snorkelers due to areas which are shallow and deep. It is almost impossible to capture everything in one trip, book early as you will want to come out with us again on your vacation. Ready to discover Norman Island?